Hester Lynch Thrale was a Welsh-born diarist, author, and patron of the arts. Her diaries and correspondence are an important source of information about Samuel Johnson and 18th-century English life. 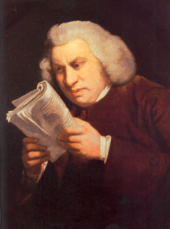 The Life of Samuel Johnson, LL.D. (1791) is a biography of Dr. Samuel Johnson written by James Boswell. The work was a critical success when first published, regarded as an important stage in the development of the modern genre of biography. Many have claimed it as the greatest biography written in English, but some modern critics object that the work cannot be considered a proper biography. 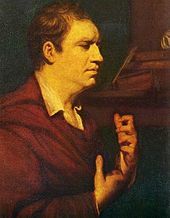 While Boswell's personal acquaintance with his subject only began in 1763, when Johnson was 54 years old, Boswell covered the entirety of Johnson's life by means of additional research. The biography takes many critical liberties with Johnson's life, as Boswell makes various changes to Johnson's quotations and even censors many comments. 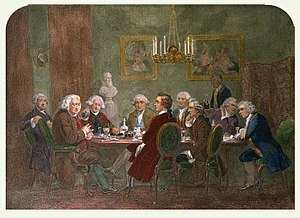 Nonetheless, modern biographers have found Boswell's biography an important source of information on Johnson and his times. Elizabeth Johnson, familiarly known as "Tetty", was the widow of Birmingham merchant Henry Porter, and later the wife of English writer Samuel Johnson, whom she predeceased. Samuel Johnson's Life of Mr Richard Savage (1744), short title Life of Savage and full title An Account of the Life of Mr Richard Savage, Son of the Earl Rivers, was the first major biography published by Johnson. It was released anonymously in 1744, and detailed the life of Richard Savage, a London poet and friend of Johnson who had died in 1743. The biography contains many details of Savage's account of his own life, including claims that he was the illegitimate child of a noble family that quickly disowned and abandoned him at birth. The Vanity of Human Wishes: The Tenth Satire of Juvenal Imitated is a poem by the English author Samuel Johnson. It was written in late 1748 and published in 1749. It was begun and completed while Johnson was busy writing A Dictionary of the English Language and it was the first published work to include Johnson's name on the title page. Irene is a Neoclassical tragedy written between 1726 and 1749 by Samuel Johnson. It has the distinction of being the work Johnson considered his greatest failure. Since his death, the critical consensus has been that he was right to think so. The Thraliana was a diary kept by Hester Thrale and is part of the genre known as table talk. Although the work began as Thrale's diary focused on her experience with her family, it slowly changed focus to emphasise various anecdotes and stories about the life of Samuel Johnson. The work was used as a basis for Thrale's Anecdotes of the Late Samuel Johnson, but the Thraliana remained unpublished until 1942. The anecdotes contained within the work were popular with Thrale's contemporaries but seen as vulgar. Among 20th century readers, the work was popular, and many literary critics believe that the work is a valuable contribution to the genre and for providing information about Johnson's and her own life. The Plays of William Shakespeare was an 18th-century edition of the dramatic works of William Shakespeare, edited by Samuel Johnson and George Steevens. Johnson announced his intention to edit Shakespeare's plays in his Miscellaneous Observations on Macbeth (1745), and a full Proposal for the edition was published in 1756. The edition was finally published in 1765. Samuel Johnson was an English author born in Lichfield, Staffordshire. He was a sickly infant who early on began to exhibit the tics that would influence how people viewed him in his later years. From childhood he displayed great intelligence and an eagerness for learning, but his early years were dominated by his family's financial strain and his efforts to establish himself as a school teacher.